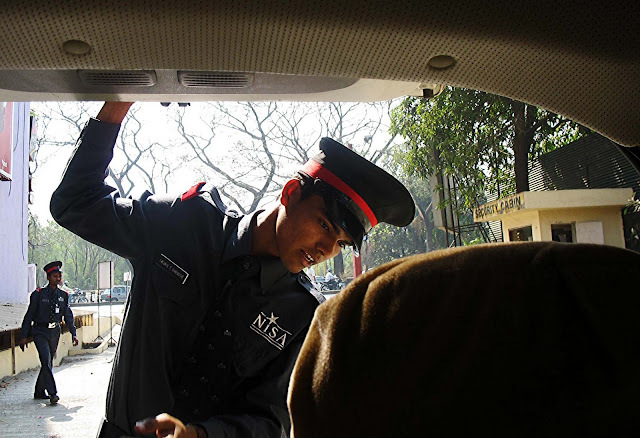 These are photographs of security guards in India. There has been a huge increase in security guards in the last decade or so, mostly due to fear of terrorism. 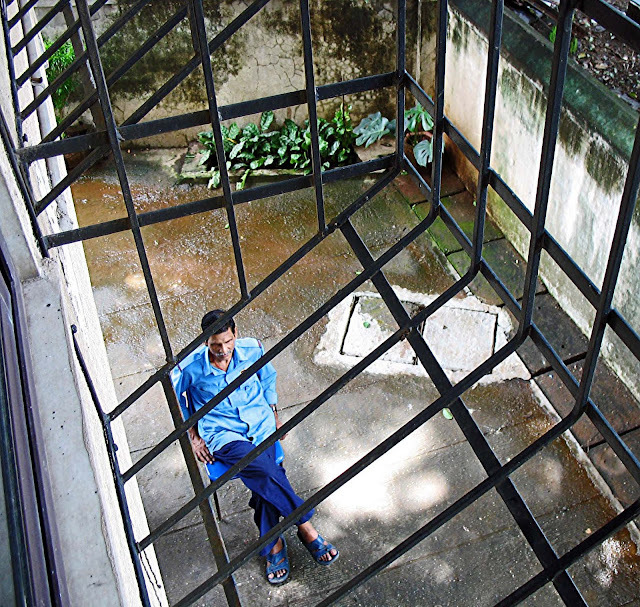 Mostly these guards are untrained, and unable to spot trouble-makers. They are hopeless at finding dangerous weapons as numerous checks have shown. These guards are better at finding food items (as wanted by multiplex owners) than guns! It's amazing how they scrounge around with their dirty fingers in the tiniest of pockets looking for that single piece of candy or biscuit! 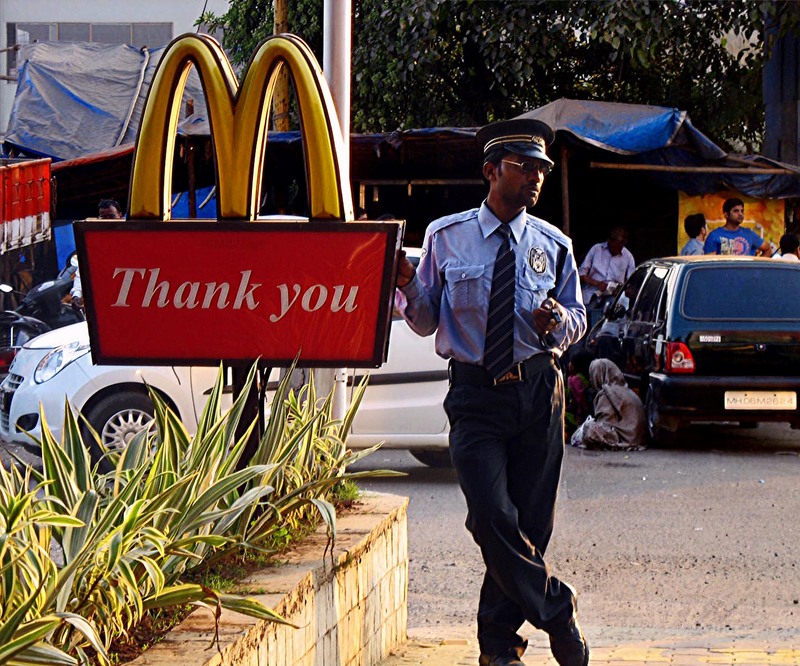 This picture shows a security guard employed by MacDonalds near the exit of a Drivethru. He is standing casually at the exit. 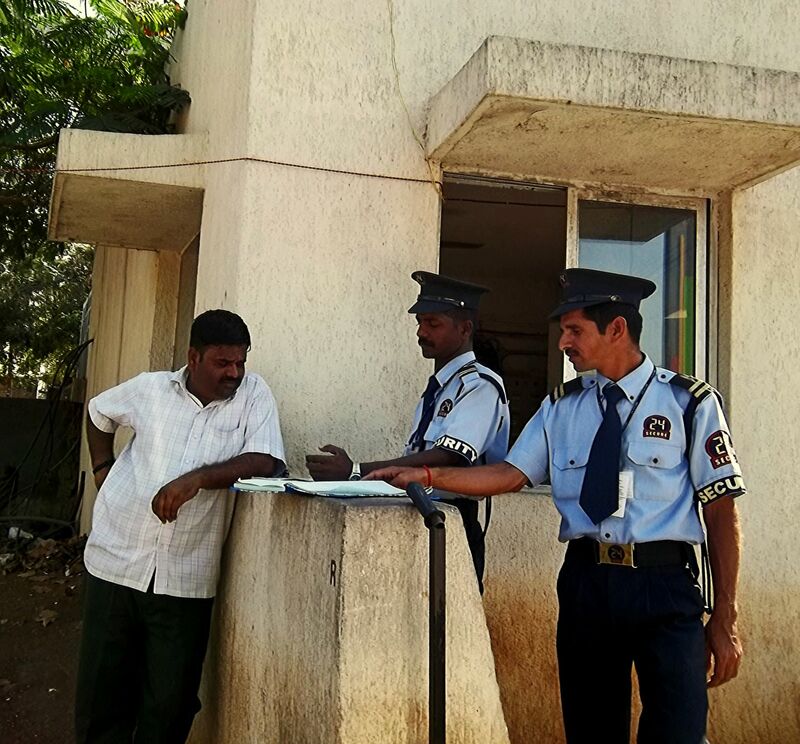 This is a security guard of a small building. He looks relaxed, and he is! He doesn't ask you where you are going, and where you are coming from! Such guards are common in most housing societies and are untrained. These security guards at a high-end mall note down car numbers. They are "trained" by the private security agencies which recruit them, but not sure how well they are trained. Or what exactly they are supposed to do except regulate the traffic at the parking lot. These guards at another mall make a perfunctory check of the dickey of the car. They won't be able to find a bomb or gun to save their life! 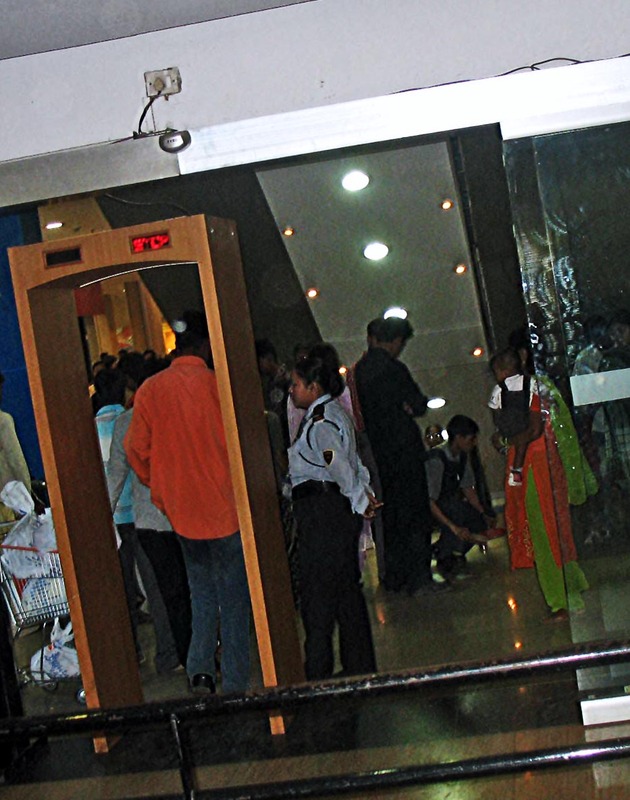 Cinema theatres also use the guards to prevent people from taking in throat lozenges, candy or even medicines! However tiny the food item is, and however necessary for your health, it's not allowed. They also force you to feed unhygienic food from the cinema counters (made without gloves and with flies on it) even to your toddlers! They also prefer it if you cough and disturb others rather than allow you to take your throat tablets inside.